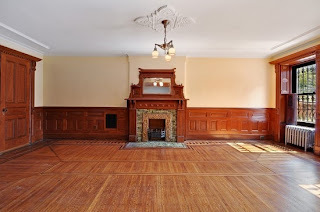 While people are stumbling over unrenovated condos in brownstones in Carroll Gardens in the $900K's, Platinum Members are picking up an entire 8-Family 10-cap on the outskirts of Lefferts Garden, towards East Flatbush, for way less than that. 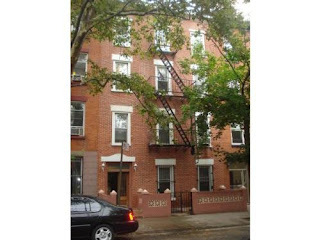 Just off of a vibrant corridor of Nostrand Avenue, around the corner from the 2 & 5 trains at Church Avenue, not far from Prospect Park, this enormous, well-maintained 25' x 90' brick building has room for way-decent 2BR rentals with original floors and details that are still way affordable at half the current median rent in Brooklyn. Much like the limestone monster at 1329 Pacific Street in Crown Heights, 245 Martense Street has unattached sides with plenty of windows for light for legit bedrooms & living room space. An amazing place as-is, with great potential too. 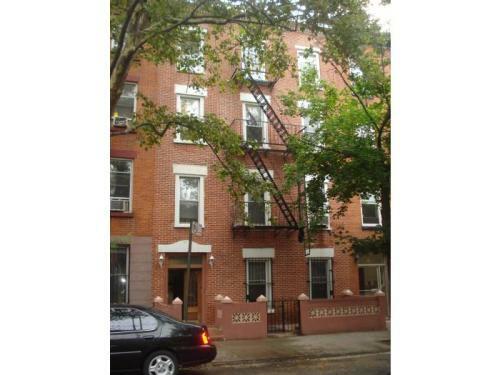 With rentals at a value pricepoint that are a great alternative to rising prices in prime Crown Heights. All in a pocket of Brooklyn the New York Times called "an oasis of brownstones and Rastafarian Gear". The listing broker is spot on when she says, "But even at record-breaking prices, the residential property is still a bargain." When a 3-Family this nice with an owner's duplex, a yard, and two top-notch rentals sells for this kind of price, the headline may read "record-breaking", but we're still talking about a home that delivers solid income that costs barely $200K over the FHA 3-Family loan limit. 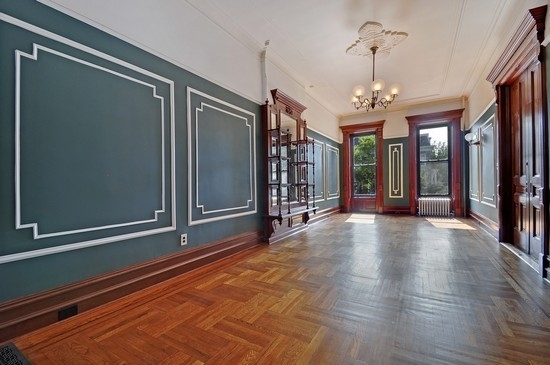 What does $1.34M get you in Park Slope anyways these days? The broker says this same house would go for 4 times as much in Park Slope, which is a stretch. Even Jenna's didn't get 4 times this much, but her point is taken. It's funny that just a year ago people were trigger shy about spending this same price on a 4-story fixer-upper in Park Slope at 27 Park Place, also clearly listed with Corcoran. 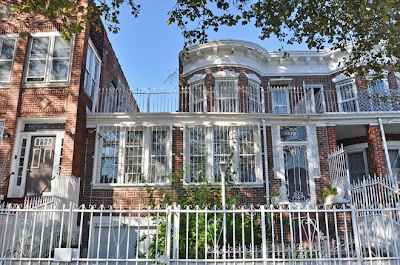 Now that pricing's hitting Bed-Stuy for a killer restoration, but should we be surprised? Let's keep pricing in perspective here. If someone handed you - free & clear - a 2BR co-op in the West Village that cost $1.34M, the taxes & maintenance fees may be higher than your current rent and cramp your lifestyle. However, if someone gave you 333 MacDonough Street, you'd get a sweet duplex AND be counting a healthy salary's worth of cash every month in rental income. 50 people at the first open house on MacDonough? Yowza! That means 49 folks still looking for this home's cousin. When that kind of activity came on cold days in January almost a year ago, the writing was on the wall in Park Slope. We warned you months ago when the $1.5M's poked across Classon Avenue. Long before a comp like this even hit the airwaves, long before it even listed, we were bullish on this block at 332 MacDonough and another winner on the same street. They always ask us, "Is Bed-Stuy a bubble?" Categorically no! Granted, in the pre-cash days of 2006 & 2007, flippers were picking up houses in Bed-Stuy merely because they could sell them for more, and many got caught with their pants down. But things are different today. Despite the Euro debt crisis that spooked some folks last fall, and the fiscal cliff spooking folks now, rents and sales prices are still relatively soaring throughout brownstone Brooklyn. 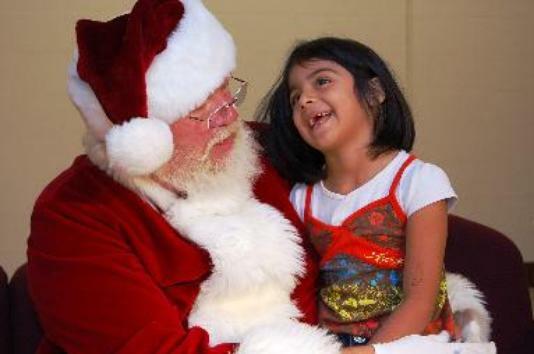 The have's really have, interest rates are low, and the rents have arrived. $2,000/month each for the rentals in this house? You couldn't charge that in 2006. Nowadays you sure can, and there's simply nowhere else for this kind of money to go. Speaking of $1.4M in Boerum Hill across the street from those same projects, it's 200 Wyckoff Street. What many would consider a shell - and barely 16' x 38' at that - listed for $1.6M and closed for $1.4M cash two weeks ago. Still beats any condo over here, but get ready to pour a healthy renovation budget into this place to get it where most want it to be. 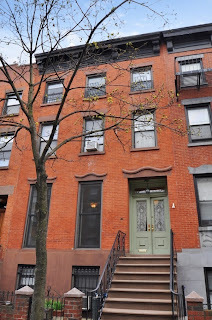 Also for $1.4M, a reader searching since last year picked up 123 Cambridge Place in Clinton Hill. Only 35' deep as well, and not as coveted a location as Boerum Hill, at least you get move-in condition even if "the exterior needs work". It's nice to be able to move in, even if the DOB's already shot down the first planned attempt at the exterior work. If you wanted turnkey for under $1.5M in BoCoCa, ya still gotta compromise. 12 Dennett Place has an exterior that's easy to hate on and is only 28' deep. It's also further down on the southern edge of Carroll Gardens than many think they'd like to go. It listed in the spring for $1.625M, had a contract the very next month, and closed last month for $1.58M. A great renovation inside, this still beats any condo in our book. If you want turnkey, and a nice size, AND a prime location in Carroll Gardens, it's gonna cost ya. 310 Union Street listed in the spring for $3.125M, had a contract the next month, and closed last month for $3.195M. 22' x 50' on 4-stories with a killer renovation ain't coming cheap, people. We told you that folks are fleeing their midtown condos for more space at what is still a fraction of what this would cost in, say, the West Village. Just like last week, as for many weeks now, Crown Heights offers the best buys of all. 433 Prospect Place listed for $950K in the summer, didn't last long, and got $1.025M earlier this month. Just 17' wide with a paved backyard, on an extra-deep lot, and in need of plenty of work for most people's taste - can you name a better $1M townhouse in Brooklyn? 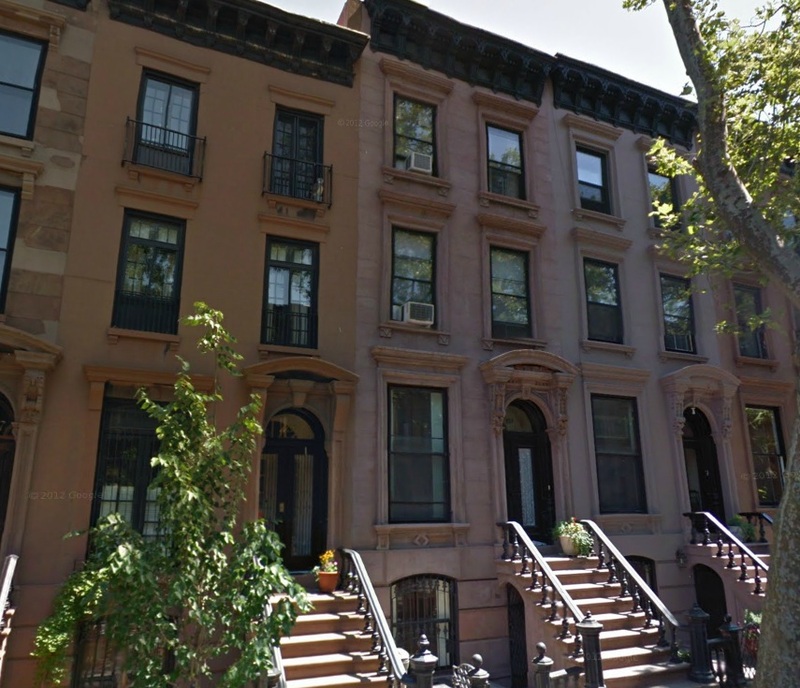 Why can't you get a prime mixed-use property in Boerum Hill for $1.1M again? 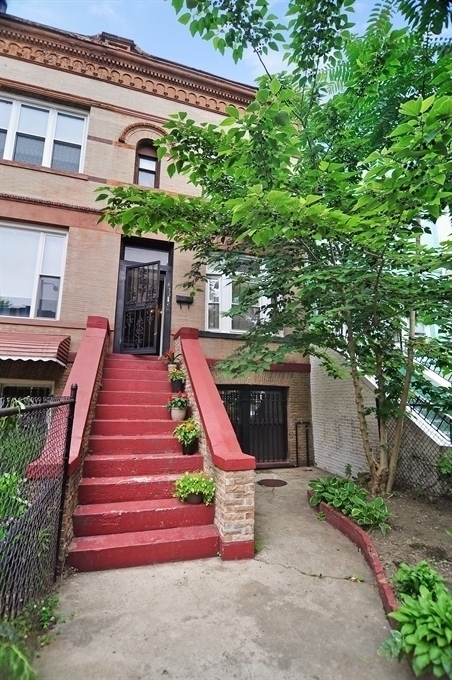 Oh yeah, because in this market these two in Bed-Stuy at 684 Myrtle Avenue and 684B Myrtle command over $1.3M each. 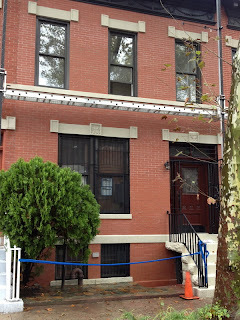 And 3BR rentals over here now command $2,000 or more. 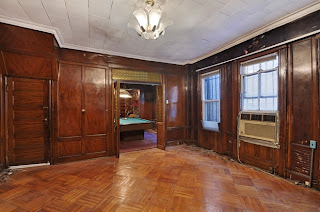 Sure, the exterior fencing's a little funky, but the last time we saw this much original wood with a pool table to boot we were sold on one of the year's finest 1142 Dean Street. This house is no 1142 Dean, but 1721 President Street is claiming "a recently renovated 2 bedroom floor-through with terrace." So maybe you can move in and while you get the rest up to speed. A terrace in the front, a deck on the back, and a modest 27' x 20' yard. Like on 521 Crown Street, perhaps the garage is some consolation for those who'd consider this the outskirts. All for less than many condos cost just 2 miles west. Many buyers are quick to write-off Corcoran listings, assuming they're bound to be over-priced. 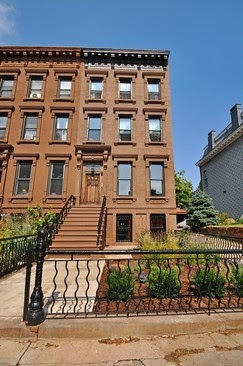 However, Corcoran brought 2 of the best recent investments in Crown Heights to market for a reasonable price. And they sure seem to have done it again here. 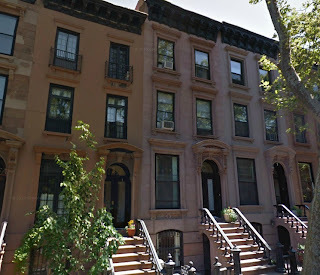 Con's: work to be done, too far east for many, exterior says "Queens"
On Platinum Member radar for months, Halstead will soon bring you a 4-story Park Slope brownstone with an extra-deep lot between 6th and 7th Avenues. The house is just 17' wide, though since it's a 2-Family with separate entrances and has a lot that's even deeper than 213 Prospect Place, there should be plenty of buildable square footage if someone wants to get really frisky and build an extension. 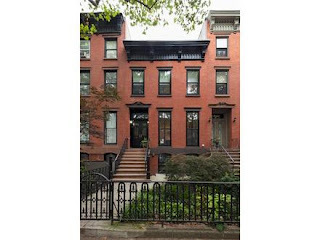 Look no further than a winner like 117 Berkeley Place to see what a narrow 2-Family with a nice yard in Park Slope is capable of. 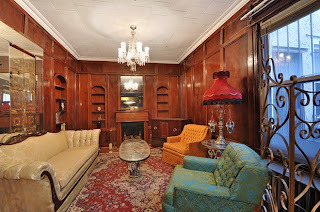 While the interior is nothing as nice as 117 Berkeley, we're told the asking price here on Lincoln Place will be $2.3M. Corcoran had the owner gassed up for a little while talking about fetching as much as $2.6M, but ultimately Halstead won for other reasons. 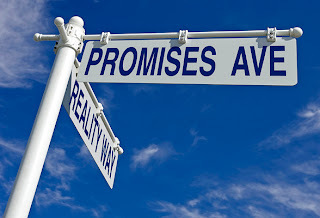 Yes, that's another little dirty secret about the biz, that brokers will inflate prospective seller's expectations about price just to land an exclusive, then happily be the bearers of relatively bad news when "the market has spoken" and that inflated price doesn't come in. Call it "over-promise, under-deliver." It costs them nothing, so it's pretty standard practice. Sellers will often gravitate towards whomever is painting the rosiest picture, and who can blame them? So it's a positive feedback loop of negative reciprocity that breeds the dishonesty and distrust rampant between brokers, buyers, and sellers alike. 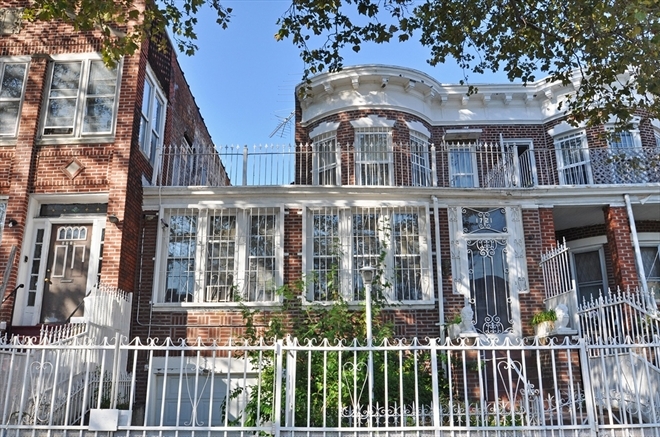 We've seen brokers in Bed-Stuy tell owners with a straight face that they can get them $1.2M (in an attempt to land an exclusive), then walk upstairs moments later and ask us in confidence, "Who would pay over $950K for this?!?" To be fair, some sellers are no saints either and have their own equivalent of this trick too. Whaddya gonna do? "It's a bad man's world." We can't put an exact time line on when this listing will be out. We've been scoping it since March ourselves. Properties are available pre-market all the time for various reasons that are often too nuanced for the novices to understand at first glance. One big reason is that no seller wants to pay 6% commission unless they have to. Another reason is, listing brokers love to keep all of that 6% commission for themselves and sell it to their own buyer without ever actually bringing it to market (even if it breaks their fiduciary responsibility to the seller). 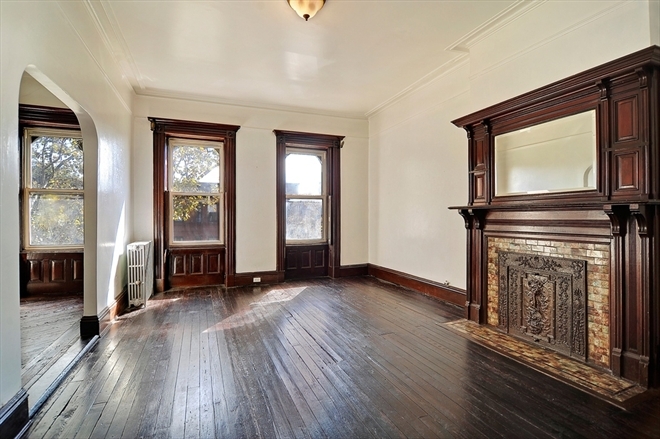 Ahem, see 1310 Pacific Street that could've sold for as much as $250K higher. In fact, as we speak, Platinum Members are scoping a handful of off-market opportunities in Prospect Heights, Fort Greene, and Clinton Hill that you won't find on NYTimes, Streeteasy, Trulia, or Zillow unless (or until) the big brokers get to them. Which won't happen in the first place if a reasonable offers gets to them first. 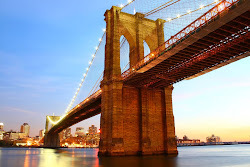 Topics: "Co-broke or Go Broke"
That's right, people: the exemplary case touted by the National Association of Realtors as an ethical no-no just so happens to be standard operating procedure in this outrageously inefficient market that is Brooklyn real estate. And the skewed incentive in question here revolved around a "mere" $1,000 bonus. 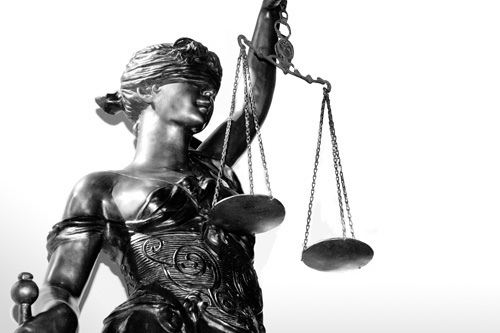 Imagine what's at stake when brokers and agents stand to make $60K in a transaction vs. $30K! (Or even much more!) Ask your broker what they're in it for, but brace yourself for some stammering. 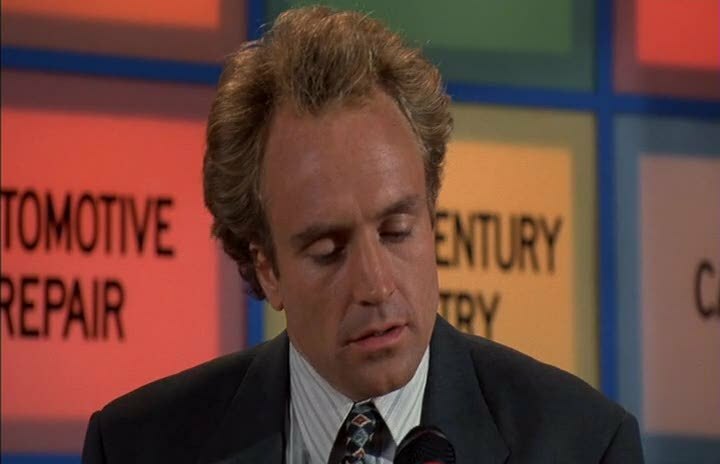 As Billy Madison showed us, it's tough to get the unethical to speak eloquently about business ethics. "This cooperation greatly benefits consumers because it is the basis for multiple listing. MLS creates tremendous efficiencies for buyers and sellers." Yeah, precisely what we don't have in Brooklyn, and why our market is insanely inefficient. Of course everyone should be paid for their work, from the hardest working brokers to the lowest of the bottom-feeders. But why is 2% the minimum (other than big firms have big overhead)? Instead, many other brokers are on their grind, uncovering more amazing deals for buyers than Corcoran is capable of, and doing it for a fraction of the commission. Best of both worlds? We'd say so. If the irony wasn't thick enough already in the discord between the NAR's Code of Ethics and the daily practices here in Brooklyn, Article 11 calls for "competence", with a case study on a Realtor "who fails in her duty to be competent." But don't even get us STARTED on that topic! It wasn't but 6 months ago when we told ya' that "Crown Heights winners don't last." This week's sweetest closing is hands-down the beauty at 1259 Dean Street. 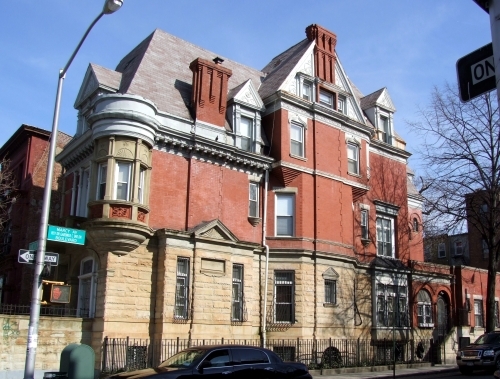 When you want 4 stories of original details around a million dollars, look no further than Crown Heights. 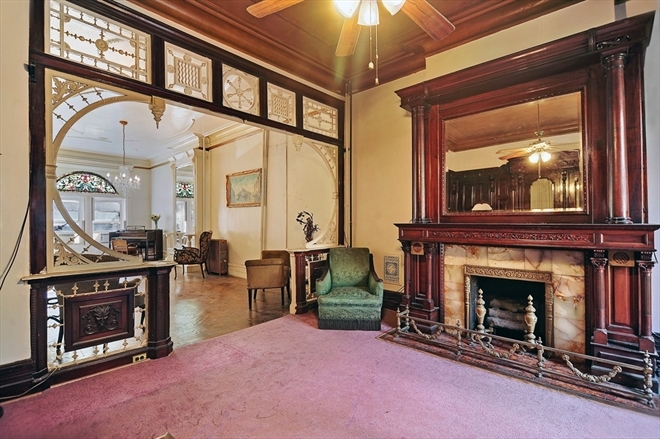 This gem closed for $1.05M. 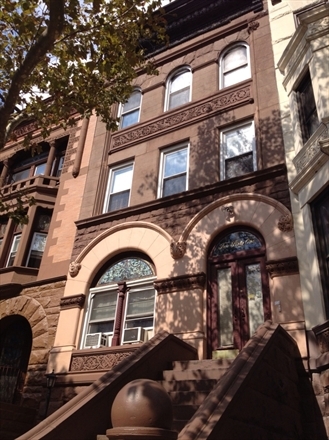 On the investment side, the winner this week is another Crown Heights gem that Platinum Members had the early leg-up on for months. 798 St. Johns Place is an 8-Family limestone weighing in at almost 10,000 sqft that was better than a 7.5%-cap, especially when it dropped from $1.3M to $1.2M. The next-best thing for those who missed the boat on one of the best buys in the past 5 years in all of Brooklyn, 234 St. James Place. Small and large players alike hemmed and hawed about the play, until someone else stepped in firm at $1.5M cash and solidified the deal at 798 St. Johns. 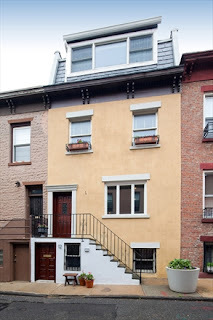 Over in Boerum Hill, a huge 4-Family in okay condition at 87 Douglass Street asking $2.3M fetched $1.94M. What it lacked in interior, it made up for with 25' width. In a less residential-feeling stretch to some, there are a bunch of townhomes in a row in a snazzy development on State Street. 287 State Street was talking $2.5M once upon a time before the crash. So it's all affordable now after the crash, right? 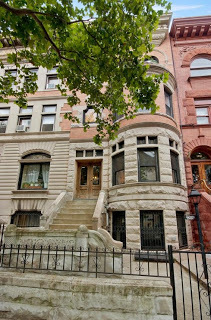 Nah... listed for $3.4M and just sold for $3.3M to a buyer from the East Village. 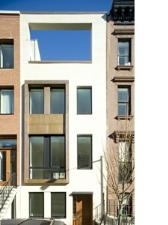 In Fort Greene, 3-stories of modern interior at 341 Adelphi Street asking $2.495M fetches $2.6M. On the edge of Prospect Heights and Crown Heights another mixed-use property goes for a price some were reluctant to pay on prime Vanderbilt Avenue as recently as this spring. 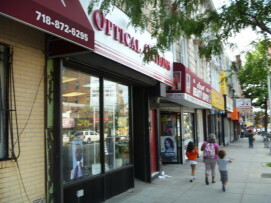 776 Washington Avenue sells for $950K. On the edge of Clinton Hill and Bed-Stuy, a quick-flip renovation single-family at 109 Clifton Place closes for $920K. A killer condo alternative purchase, while many were griping about comps and finishes. Does the house need a ton of mechanical & other upgrades too? Of course it does! But that sure didn't stop some people who know a good thing when they see it. ...as well as houses in Carroll Gardens and Park Slope. Ah, Park Slope! The stuff boudgie dreams are made of. Except, like Rick Ross' "Archie Bunker", "it's so white I just might charge ya double." 261 Hancock Street is a winner all day long, with or without Corcoran's blessing, with or without would-be buyers priced out of Park Slope shuffling in & out of it. But the Corcoran effect is undeniable, and who can argue with the results? The sellers are getting well above their asking price here. Did they take the highest offer? Certainly not. Did they take the offer most likely to close quickly? Perhaps. Did they get steered towards the offer most likely to get the listing agent paid double? A genuine possibility. Just another day in the Brooklyn real estate game. Before anyone goes and gets too shocked by any of this pricing, however, let's keep a few things in perspective. 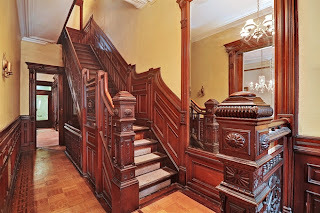 Where else within Metrocard striking distance can you pick up 4 stories this historic for under $1.5M?? 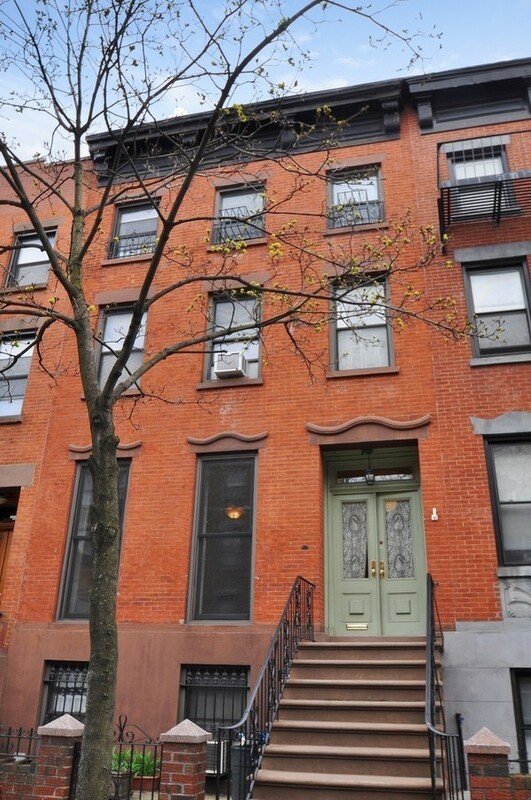 People are still staking out Harlem for shells around $2M! Oh, and have you seen interest rates lately? Everyone said, "Buy now while rates are still low!" back when rates were in the 6%'s. They said the same thing when rates were in the 5%'s and even the 4%'s. Now people are getting 30-year fixed mortgages in the low 3%'s!! Yes, through the miracle of interest rates, many readers we know are refinancing their homes, taking out more money, while getting a lower monthly payment. Only in America! 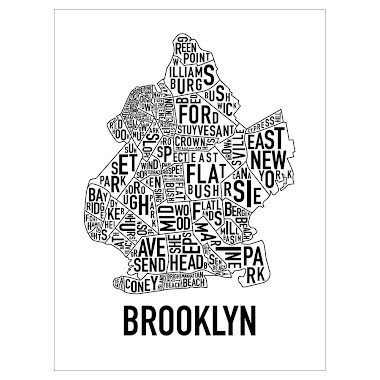 Many will continue to misunderstand & gripe about Bed-Stuy. "Oh, but the schools!" we always hear them say. Sure, it's cool. We've seen people who can't even afford certain neighborhoods look down on the school districts in them, from Fort Greene to Clinton Hill. So certainly Bed-Stuy's an easy target for this kind of broad-brush criticism. Don't worry. By the time you realize that you're not too good for Bed-Stuy, Bed-Stuy might well be too good for you. 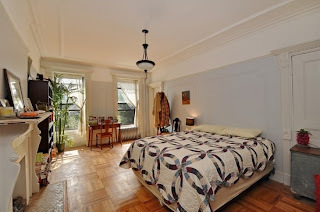 Con's: packed open house, cash offers above asking price, agent looking out for #1? Ideally: over asking price & worth every penny. Luckily there's plenty more where this came from. 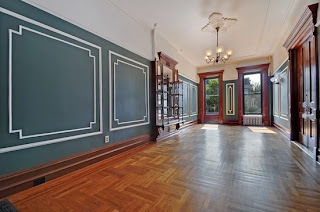 With an open house this Sunday from 4:30 to 5:30pm, 521 Crown Street is another Crown Heights condo alternative that's worth a look with its asking price of $825K. Elliot Nicks, who brought us 1148 Sterling Place in Crown Heights at an affordable pricepoint, is at it again! The exterior of this house may say "Queens", but there's not a lot of places to find a 20' x 65' brick home on a 127' lot with original details. 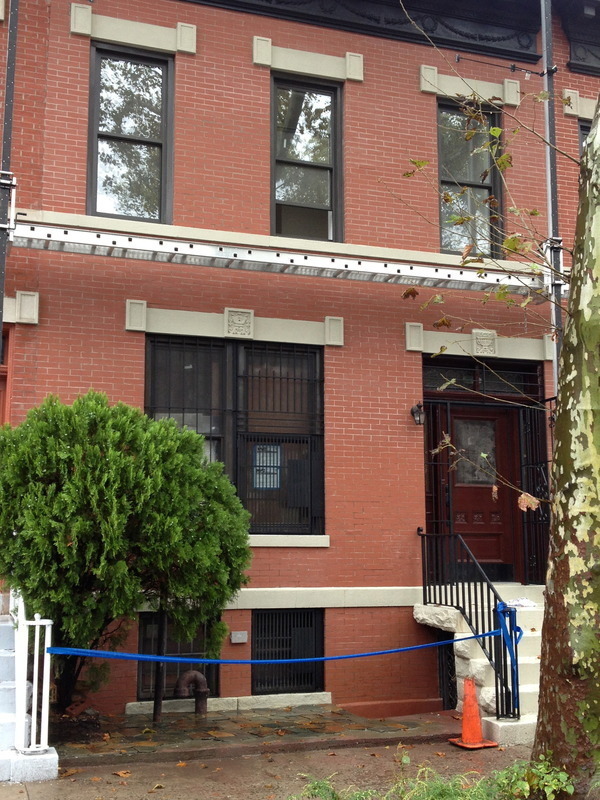 Have you seen some of the south Crown Heights comps recently? We see this as a great condo alternative play, just like this other Crown Heights gem. No look at the backyard, if there is much of one, but - for all those who find this "too far east" - is that a garage too?? 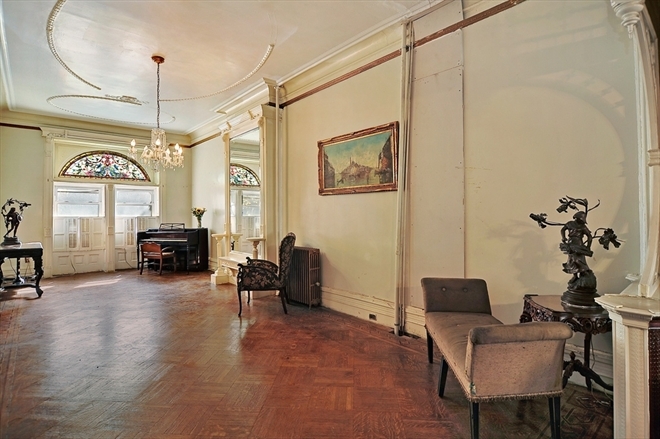 And where else are you getting rooms this large for under $850K? 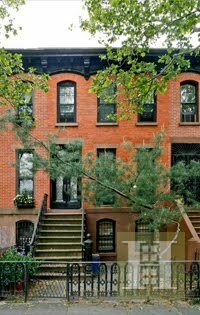 Con's: you'll want to do at least upgrade the kitchen, "deep Crown Heights", not the picturesque brownstone you had in mind, quirky shape, what's up with the yard?